Some home cleaning tasks only need to be done once or twice a year. 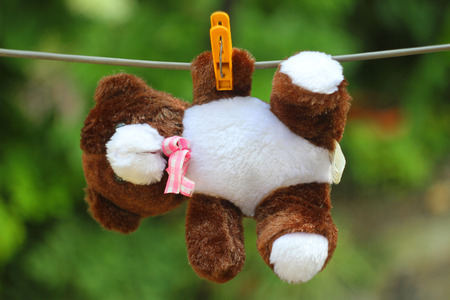 Launder stuffed animals and washable playthings this month..
An easy way to ensure all the essential home maintenance and cleaning tasks get done by year's end is to create a monthly cleaning checklist. Here is the June house cleaning checklist that works for me. June is the perfect time to clean stuffed animals to keep them sanitary as well as cuddly. Some can be laundered. Some you just have to wipe down. It's a great way to start your June house cleaning checklist. 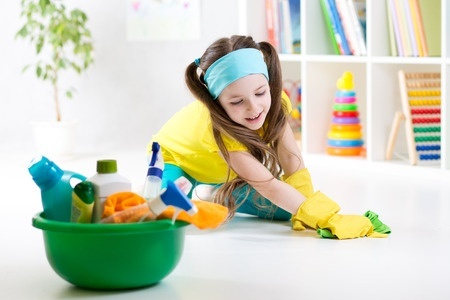 While the kids are home from school, entice or enlist them to clean their rooms top to bottom. Clean and organize the bathroom sink area. Buy under sink drawer units or stackable baskets to make the best use of the space. Check their expiration dates. While you’re at it, check expiration dates on everything and toss out the old. In fact, clean out the entire medicine cabinet. Put vinyl or plastic shower curtains in your washing machine along with a few bath towels. Wash in cold water on the gentle cycle. Remove the curtains before the spin cycle and hang them to dry. Clean and repair bathroom caulking. Clean area rugs according to manufacturers’ directions. Be sure to use non-slip rug pads underneath both to keep rugs from slipping and to lengthen their lives. Go through family pictures that you’ve taken over the past year. Be ruthless. Toss the bad ones; send Grandma a bunch and file the rest (by month and year) until you finally get around to compiling that album. Refresh the photographs you have on display with some of the best you’ve just picked through. Go through your children’s artwork when they are not around. Put the best in a special keepsake box. Frame the very best and display it in a hallway. Circular file what’s left. Glorious summer is now all yours to enjoy!